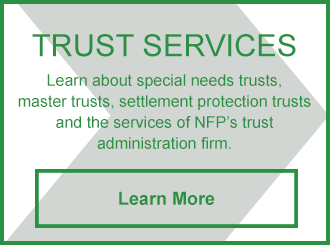 As part of its mission, NFP Structured Settlements provides plaintiffs with a holistic planning experience that includes trusts. Experience has taught us that a well-balanced settlement plan often includes both a structured settlement and a trust. Our professionals can help an injured plaintiff receiving a settlement determine the appropriate allocation to each vehicle. In our process, we work with NDC Advisors, an NFP-owned trust administration company, and our team which includes nursing, legal, accounting and settlement planning professionals. 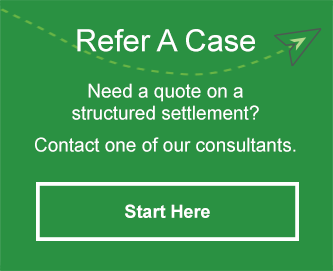 Together, we can assist in creating an appropriate long-term plan utilizing a structured settlement and a trust that best suits your near-term needs and long-term goals. Help determine whether and when a trust is appropriate. Coordinate drafting and implementation of the trust.